The box office hit of the controversial adaptation of the novel by James M. Cain (The Postman Always Rings Twice) comes out on DVD for the first time ever. Pia Zadora makes a stunning debut in this hot-blooded thriller of forbidden love, murder, and revenge. Pouty and irresistible, she plays the part of naughty Kady, who makes a surprise visit to her long-lost father, Jess (Stacy Keach), by dropping in at the deserted silver mine he is caretaking. Provocative and lustful, she teases him until both give way to temptation. Together in sin, Kady and Jess dream of wealth as they mine for silver, but vultures with dreams of their own lurk in the background, watching their every move. 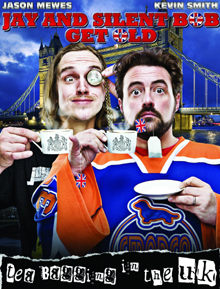 This DVD features the first ever interviews on home video by its stars Pia Zadora and Stacy Keach. Also included is a feature length commentary with director Matt Cimber, star Pia Zadora, and Pia's former husband and Butterfly financier M. Riklis. The highly explosive and true story of Jimmie (Tommy Lewis) a young Australian half-cast Aborigine who is torn between his true Aboriginal roots and an impulsion to integrate himself into White Colonial society. As Jimmie grows into a hard working young man, he consistently finds himself flagrantly cheated and suppressed by his white employers, forcing him to some seek relief in love, which he finds in a white woman he marries under duress. However, as the pressure builds, Jimmie explodes, resulting in one of the darkest, most violent endings in movie history. Directed by Fred Schepisi (Roxanne, The Russia House, Six degrees of Separation) and based the book by Thomas Keneally (author of Schindler s List). 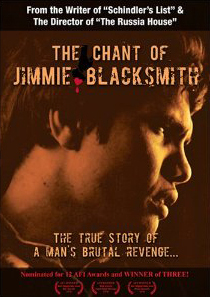 Extras include Documentary on Tommy Lewis (The World According to Tom) & The Making of The Chant of Jimmie Blacksmith. Acclaimed writer/director Fred Schepisi's (Roxanne, The Russia House, Empire Falls) first feature is the accomplished and currently pertinent story of boys coming of age set in an Australian Catholic boys school. 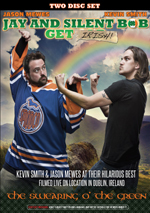 Based on the directors' experiences in a monastery, repressed desires meet Christian doctrine head-on. Winner of five Australian Film Institute awards, including Best Director, Best Actor, and Best Film (1976). 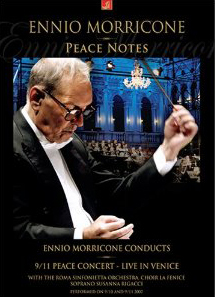 1 DVD + 2 CD package of Ennio Morricone Conducting his own music in Peace Notes, a 9/11 Peace Concert - Live In Venice with the Roma Sinfonietta Orchestra, Choir La Fenice, Soprano Susanna Rigacci performed on 9/10 and 9/11 2007. Filmed in high definition, featuring many of Morricone's best loved film scores including: (The Good, the Bad and the Ugly), (The Mission), (Once Upon A Time In The West), (Once Upon A Time In America). Morricone is traveling around the world performing this amazing concert for peace, which was conducted in front of the United Nations, portions of which can be seen on this DVD set. 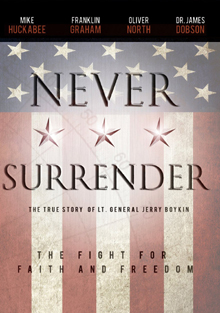 Never Surrender is a salute to those who have sacrificed for liberty and a call for awareness to the dangers confronting freedom.